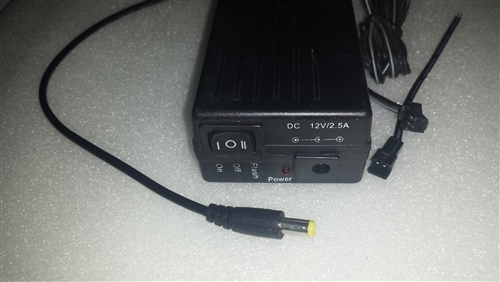 12vdc with 2.1mm DC jack plug. 155-130VAC, 1.7K- 800hz depending on load. Features Constant On or Blink modes. Recommended wire configuration is maximum 66ft single linear continuous rated for up to 5 x 66ft in parallel. 66ftx5 = 330ft total OR any other multi port configuration for up to total of 330ft maximum. 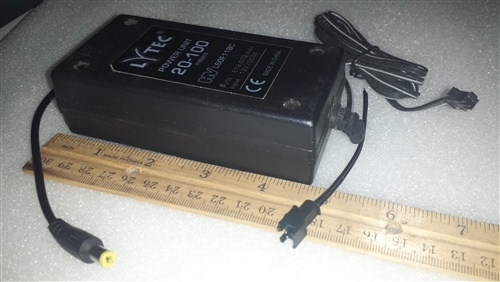 Most EL Wire inverters operate in the 80-110vac output range, these inverters are in the 130-155vac range.